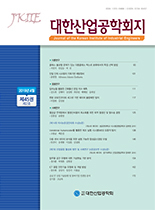 최남호, 김효창, 최종규, 지용구,(2015).미래형 자율주행 자동차의 정책수립을 위한 연구.대한산업공학회지,41(1),50-58. The research on autonomous vehicle that expected to greatly reduce accidents by driver’s mistakes is increasing in the development of technology. The purpose of this research is to identify the factor that affect trust in autonomous vehicles and analyze the requirements of the driver in autonomous vehicles environment. Therefore, in this study, we defined the information and functions provided by the autonomous vehicles through the investigation of the prior studies, conducted a questionnaire survey and focused group interview (FGI). The results show that competency, error management were important factors influencing trust in autonomous vehicles and identified that driver took safety related information as high priority in autonomous vehicle. Also, it was identified that driver prefer to perform the multimedia function in autonomous vehicle environment. The study is looking forward to be the reference data for design of advanced autonomous vehicle. It will contribute to the improvement of the convenience and satisfaction of the drivers.